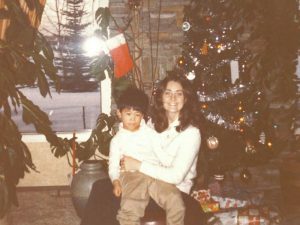 In the autumn of 1951, two Calgary mothers were informed that their sons would not be accepted into public schools because they had developmental disabilities, and that the only option for education available to them was an institution in Red Deer known as the Provincial Training School. 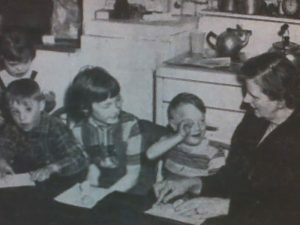 Those two mothers were Christine Meikle and Emily Follensbee, who went on to found the organization known today as the Developmental Disabilities Resource Centre of Calgary on May 21, 1952. From starting a classroom for six students in Meikle’s kitchen, to lobbying the public schoolboard to provide inclusive education, the history of the DDRC is that of a true grassroots movement. 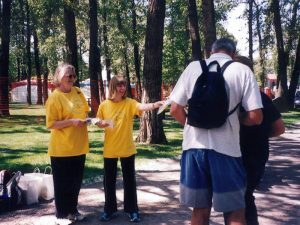 Forerunner of the DDRC, the Southern Alberta Council for Retarded Children, is founded by Christine Meikle and Emily Follensbee. Classes begin in Christine Meikle’s “kitchen school” for six students with developmental disabilities. Christine Meikle School officially opens as the first school in Alberta for children with developmental disabilities. Emily Follensbee School opens six years later. 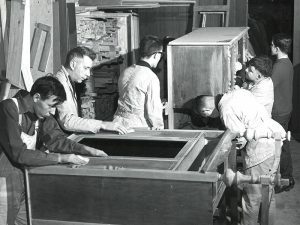 The Calgary Board of Education takes over operations of both schools in 1969. 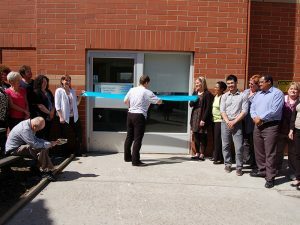 Advance Industries, a vocational training workshop, opens in Bowness. The Independent Living Skills program, with a focus on helping individuals develop the skills required to live independently in the community, is created. The In Home Support program starts, offering respite services to families with children who have developmental disabilities. Community Job Options Program launches with the goal of finding competitive community employment opportunities. 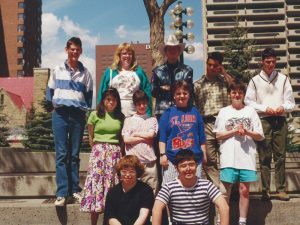 Agency is renamed Developmental Disabilities Resource Centre of Calgary (DDRC). Participation in Academics and Career Exploration (PACE) program is established in partnership with Alberta Vocational College; Awards of Distinction held for the first time. Inclusive Schools Initiative partnership with Calgary Board of Education launched. This saw the DDRC working with the Calgary Board of Education to increase inclusion in the classrooms of 48 schools. everyone belongs™ campaign launched May 28, 2003; “Everyone Belongs Week” declared on October 6. Learning and Leadership Centre, our fully inclusive learning environment, opens. 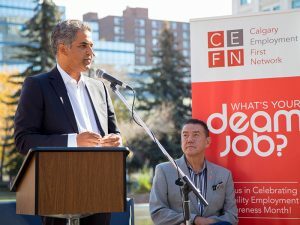 DDRC becomes a partner in the Calgary Employment First Network (CEFN), dedicated to building connections between inclusive employers and people with a wide variety of disabilities. A partnership between the DDRC and Bow Valley College is formed to provide computer literacy courses to the PACE program, developing employment-related computer skills. 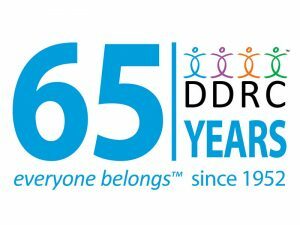 The DDRC celebrates 65 years of service to the city of Calgary.